This past Tuesday, the State Senate committee with jurisdiction over campaign finance reform voted to approve Senate Bill 43, a bipartisan proposal requiring disclosure of the donors and regulation of the money utilized by outside special interest groups that run widely-disseminated campaign communications masquerading as issue advocacy during the period of 60 days or less prior to an election. This electioneering disclosure and regulation legislation mirrors new rules approved by the state Government Accountability Board in November 2008. An identical Assembly version of the legislation, Assembly Bill 63 was passed in the Assembly Committee in June on a bipartisan 6 to 1 vote. Common Cause in Wisconsin (CC/WI), the first state reform organization to recognize the critical importance of this reform, proposed a version of this measure back in 1997 -- and has been leading the effort to get it enacted into law ever since. The State Senate committee action this week now means that the next step for both the State Senate and the Assembly is to schedule the phony issue ad disclosure and regulation legislation for a vote - where the measure is expected to pass and then, to be signed into law by Governor Jim Doyle. And, the Joint Finance Committee is currently exploring funding options for the so-called "Impartial Justice" legislation: Assembly Bill 65 and Senate Bill 40 -- identical measures that would provide full public financing for qualifying candidates for the Wisconsin Supreme Court who voluntarily agree to abide by a spending limit of $400,000. So significant, substantive campaign finance reform in Wisconsin -- the most sweeping in thirty years -- could become law this Fall. The prospects for the enactment into law of these political reforms and others needed in Wisconsin will be front and center in Janesville this coming Monday in a "Reform Forum" organized by CC/WI entitled: “What Ever Happened to Good Government in Wisconsin?" It will be held at the Educational Services Center, Janesville School District, 527 South Franklin Street on Monday, September 21st, 2009 from 6:30 to 8:00 PM. The event is free and open to the public and refreshments will be served. Seating is limited. 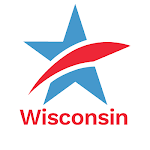 Co-sponsoring the forum with CC/WI is American Association of University Women - Janesville Branch, Wisconsin Nurses Association and the Coalition of Wisconsin Aging Groups. Panelists will include State Senator Judy Robson of Beloit, State Represenatives Kim Hixson of Whitewater and Chuck Benedict of Beloit, CC/WI State Governing Board Member Tim Cullen, WCLO talk show host Stan Milam and CC/WI Executive Director Jay Heck. The moderator is WCLO News Director Stan Stricker. Wisconsin Assembly Speaker Mike Sheridan of Janesville and State Representative Brett Davis of Oregon were invited but cannot participate because of other commitments. For more about the forum you can read a recent Janesville Gazette article here. Forum in Janesville This Monday to Focus on Needed State Political Reform as Legislature Moves Closer to Votes on Two Key MeasuresTweet this!